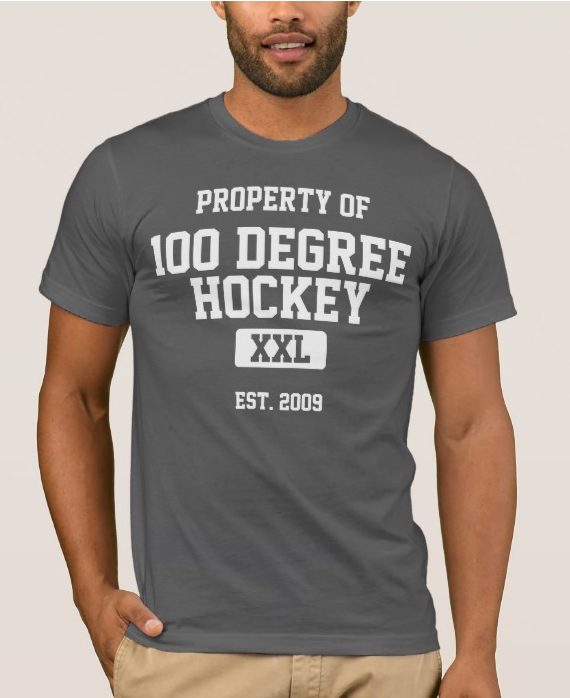 ECHL Week continues on 100 Degree Hockey. 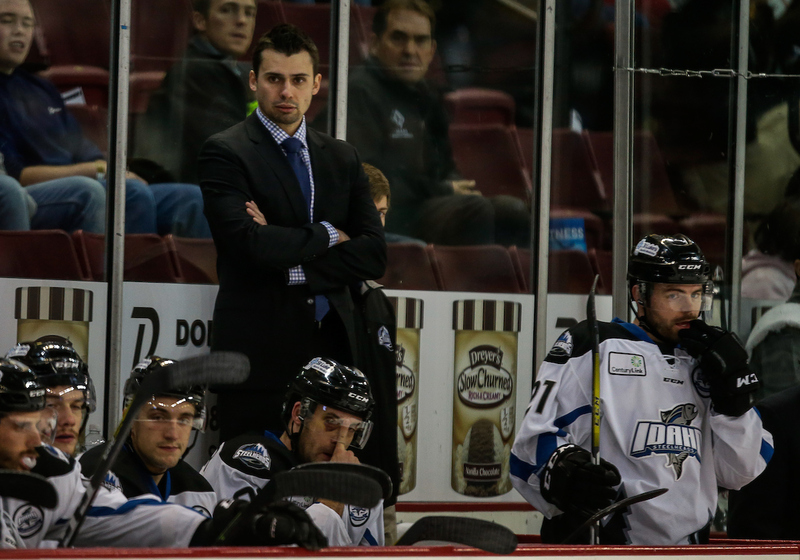 Today, a look at the head coach and GM of the Idaho Steelheads, Neil Graham. The hardest working man in the Dallas Stars organization might just be in Boise, Idaho. Deep in the bowels of the CenturyLink Arena, Neil Graham sits at a computer in his office, a cinder block walled 20x20 foot space across the hall from the home team locker rooms. A couch and a few comfortable chairs are available for guests, but this morning in mid-January finds Graham behind the desk. He's not even done with the 2016-17 season and already he's started lists of players to look at for next season. Not to mention the fact that there's a game tonight, the second of a three-game set against divisional rival Colorado. After the team's 5-3 win on Wednesday, Graham is expecting a push from the visitors. Making those "tweaks and adjustments" to respond is another thing to add to his plate for the morning routine. But this is the life of an ECHL coach/GM. The dual name doesn't even fully capture the breadth of the role that Graham must play for the Steelheads. Without the same support staff as NHL teams, Graham regularly manages coaching, GM duties, and other complex topics usually handed off to support staff, such as player immigration status. The 31-year old coach came into the role eyes wide open, however. After a four-year career at Mercyhurst College in Erie, PA, Graham had a winding road to get to Idaho. After a few years in the SPHL, then Steelheads head coach Brad Ralph, who knew him from his own time in the SPHL, asked Graham to come on as a player-coach, a rarity in the modern pro landscape. "On paper it was player-coach," said Graham. "But at that point I was invested in coaching and wanted to transition into it. It was more coach first, player second." That season, Graham played just eight games but earned the assistant coach moniker by mid-season. He officially retired before the 2013-14 season and took over team travel, living arrangements and instructional camps along with on-ice duties. "My first three years as an assistant coach, Ralph asked me to handle player arrangements, moving companies, the in and out of furniture to start the season. I was doing team travel and immigration, and I had my own budgets. It was good for me as an assistant coach to learn to work within a budget and with time restraints. It helped me prepare for salary caps and weekly rosters as a head coach." Always a bright-sider, Graham notes that he was able to complete his own US green card application thanks to his immigration experience. "You can take a lesson from anything, and in this league you get a lot of them." When Brad Ralph moved on to the WHL in the summer of 2015, Graham was suddenly a 29-year old head coach. If you thought your phone bill was out of control, you certainly don't want to see the bill for the recruiter-in-chief of the Idaho Steelheads. "It’s important to always be recruiting at this level. With the volatility of callups and the fact you don’t carry a huge roster and have a lot of roster limitations, it’s important to always be recruiting and calling." Even in January, lists are being compiled. Without the luxury of multi-year deals, which are not allowed in the ECHL, every season starts from a blank page. This, of course creates an incredible conflict with the goals of developing players for higher levels of hockey. It turns out that's also part of the sales pitch. "You have to bring in the players that have potential to move up. When you take care of business at this level, typically you see more contracts signed at the higher level the next year. From there, let’s say we lose 7 guys. We just lost 7 guys but now when I call the next group of free agents and NCAA players, I can say we had this many callups to our affiliate, this many to the AHL, this many to Europe and this many on one ways, it can build a cycle and develop a reputation as a team that wins and a team that develops players for the next level, wherever that opportunity may be. "Take care of business for Idaho, and we help to advance you up the hockey ladder." Graham is pretty cagey not to reveal too much of the sales pitch that continues to bring quality players to Idaho every season. He starts, "We have multiple..." Before trailing off, laughing and admitting, "I don’t want to say too much!" He sells the chance to advance your career and also has the benefit of selling an excellent city and organization. "When people come here to Idaho, I haven’t heard too many upset with their decision. Everyone knows in this organization that you have to earn it and work hard. The guys who fight for every inch are the guys who are going to make a difference. The character, work ethic and attitude are the three things I recruit. That’s obviously a complete package with the skill." Travis Ewanyk, who was recruited over the summer, chatted for an hour with the head coach. Ewanyk recalled, "He sold the city and the team very well, the players and the coaching staff. His enthusiasm really rubbed off on me. We talked about everything from their winning team record here. They win playoffs; they win Kelly Cups." The roster in Idaho seems dotted with college players, perhaps owing to Graham's own background as a collegiate player. Graham noted, "I have built good relationships with a lot of schools, some I lean on more than others. When you start to build a relationship, you see a similar product out of certain schools." The role of recruiting becomes even more important perhaps the better you are at it. If you recruit well, those players will perform well for you and likely get callups to the AHL, putting the head coach right back on the phone to see if he can get someone to fill a newly opened spot. For example, players like Austin Fyten, Caleb Herbert and Bryce Van Brabant were all expected to be in the ECHL this season. "The difference at our level is that we can lose guys to our affiliate, but we can also lose guys to the other 29 teams in the AHL. There are no restrictions on that. It’s something we pride ourselves on. If you’re winning hockey games, they’ll get an opportunity at the next level. Part of our job is to make sure we are prepared. We have a lot of watch lists and agents we keep in contact with to make sure if we do lose a guy to the next level, we have someone ready to step in." The challenge of recruiting underlines the impressiveness of what the Steelheads have accomplished in the ECHL. Since entering the league in 2003, they've won two Kelly Cups and never missed the playoffs, a 13-year streak. "It’s something we take pride in, and we know what’s at stake. It comes with added pressure, but it also comes with a lot of pride to know that we do things the right way in this organization." Part of building that winning team is being a place that players want to play. And part of that is being a coach that connects with your players and brings out the best in them. Top to bottom, Graham gets praise from his players for his diligence and care for his players. "He has an open door policy to come talk about whatever is going on in your life, hockey or not," says vet forward Kellan Lain. "The guys love playing for him, putting in the work for him. I’ve never had a coach like that before. It’s fun to be a part of." Travis Ewanyk expanded, "Guys want to play for a coach like that. Sometimes you get coaches who don't have that connection with the players. You can walk into Graham’s office to have a conversation about anything." Being a recently retired player who bounced around the minors a bit, Graham took some of his experiences, good and bad, into consideration when starting out in Boise. "The biggest thing is player management, how you talk to players and how you treat them. I learned some positive things and I also learned some things I don’t want to repeat in the ways I deal with my players. You’re not always going to be delivering good news. There’s still a way to do things professionally, and that’s something that I pride myself on, having a professional program here in Idaho. I want people to speak highly of our program in terms of the way they were treated on this team." The results on the ice are speaking for themselves. Last year's team finished at the top of the division but fell in the first round to eventual champions Allen in Game 7 OT. Coach Graham finished fifth in the league in Coach of the Year voting, despite his rookie status. This year, the Steelheads are fighting for the top spot in the division again and certainly angling for a 14th straight playoff berth. 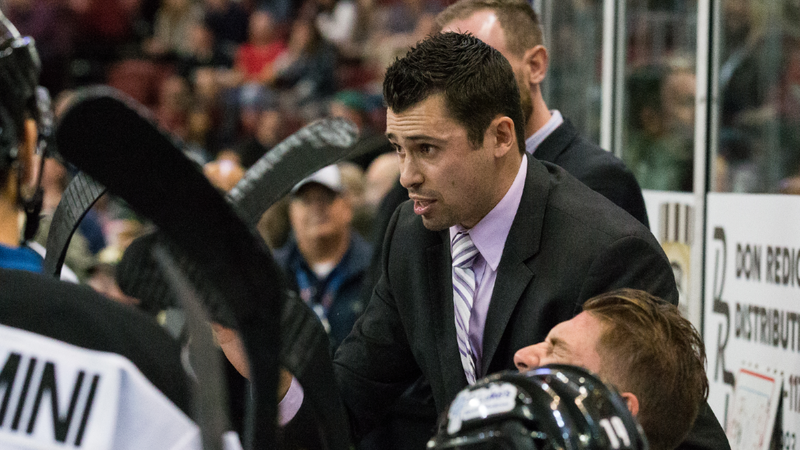 Graham has earned praise from his colleagues at the AHL level for his work with the Steelheads. Texas Stars head coach Derek Laxdal understands the challenge of the ECHL very well, having been in Boise for five years. He calls it one of the toughest leagues to coach in. The connection that Laxdal has with the team in Idaho has proven invaluable to the success of the Texas Stars. "I talk to Neil 3 or 4 times a week and that’s a lot. There’s some other affiliates that don’t even talk to their ECHL teams. We have a lot of respect for Neil and the Steelheads. I think it’s important to talk to the coach up here. Not only do you get a feel for how your players are doing, you also get a feel for how the league is going, the pace and style of play. I have a lot of confidence in what Neil does with our affiliated players that are sent down." Laxdal further views Graham's youth as a huge asset to his future development as a coach, "He got into coaching at a young age, and there’s a lot of upside for him. He’s confident and has grown in his confidence. For him, to be a young coach, he’s going to have a lot more opportunity than I did. I’m a little bit of an older coach, but I’m still learning every day. He’s 31, and he’s still got a lot of years ahead of him." Those years ahead involve a key decision: whether the road leads to coaching or general management. The typical deflection of 'I'm not thinking about that right now' doesn't come off cliched as Graham tilts back in his office chair to contemplate his future a bit. "That’s a funny question," he starts. "I’m 31 and it’s my second year as a coach." "What excites me right now is the team we have with this team and the opportunity we have right now. It’s fun to fantasize and think about it, but it’s important not to. There’s a lot of things that can happen in between. Just like I tell our players, it’s important for me and Everett too, we’re in a learning process and developing as coaches. I have a strong belief that everything happens for a reason. I came in as a coach player and now I’m the head coach. It’s important to stay in the present. When opportunities arise, explore them, But until those arise, it’s important to stay grounded and stay focused on the task at hand." Before packing up his bag to head home briefly before the game to his wife and 7-month old son, Graham adds, "I’m grateful for the opportunity I’ve been given. It’s important that my focus is here, putting together a team that our organization and fans can be proud of." Granted, Coach Graham is young but do you see him possibly getting a look at the Texas head coach gig when it opens? Longer term, sure. He needs more time by his own admission. However, just like his players, there are 29 other teams he could also go to. Also, he could take the Brad Ralph route and go to major junior. But this is all long term. I got to know Neil Graham as a hockey player. Neil worked hard every shift. Every game. I am not shocked by his success in the least. Neil won't be out worked. His character is unquestioned. He has a passion for hockey. Great article... I played minor hockey with Neil when we were in our teens years and years ago, and kept track from afar a bit as the years went by. He's a stand up guy; very personable, always mature beyond his years, and even that long ago you people knew he was always going to excel in whatever he did as a career in hockey (a coach role just makes sense). AHL and clubs higher take notice if you want that quality guy who has the natural talent and charisma to steer a group in the right direction. Good on yeah Neil.